BBC Late Night Laugh has launched on smart speakers, bringing a quick blast of comedy every night of the Edinburgh Fringe Festival. It will feature bitesize chunks of comedy including gags and funny stories from new comedy talent appearing at the Edinburgh Festival and beyond. 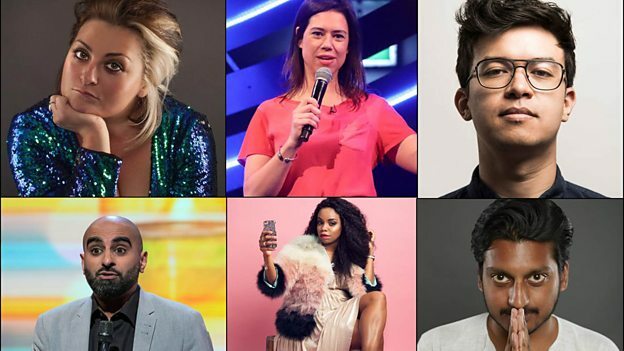 The 25 episodes will feature the likes of Phil Wang, Ahir Shah, Lou Sanders, Tez Ilyas, Kiri Pritchard-McLean, Dane Baptiste, Pierre Novellie and many more. Each new piece of comedy will be available from 6pm every evening by simply asking for ‘BBC Late Night Laugh’ or ‘give me a late night laugh’ on Amazon Alexa, Apple HomePod or Google Home devices. BBC Late Night Laugh will also be available on BBC iPlayer Radio. Late Night Laugh is produced by BBC Studios in collaboration with the BBC’s Voice team. It follows on from other dedicated voice content for smart speakers, including the ‘Take Me To…’ series for the World Cup, Wimbledon and the Tour De France. The BBC launched its first service for smart speakers last year, which includes the BBC’s full range of live radio stations (all local, national and international stations) and the BBC’s full range of podcasts.